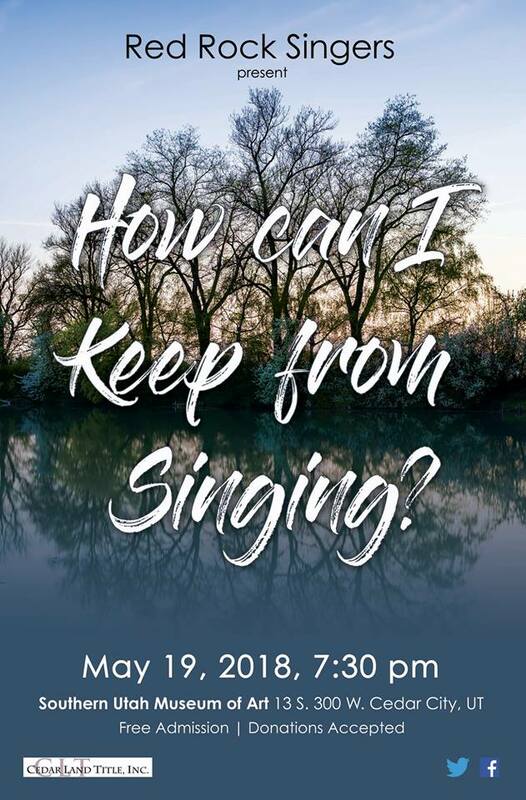 The Red Rock Singers present How Can I Keep From Singing? 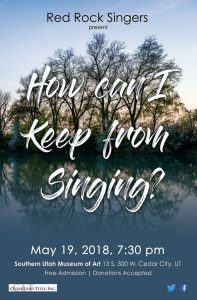 The concert will be May 19, 2018 at 7:30 pm at the Southern Utah Museum of Art (13 S 300 W). Admission is free and donations are accepted. Cedar Land Title will be the sponsor.